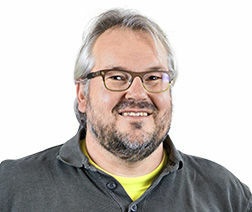 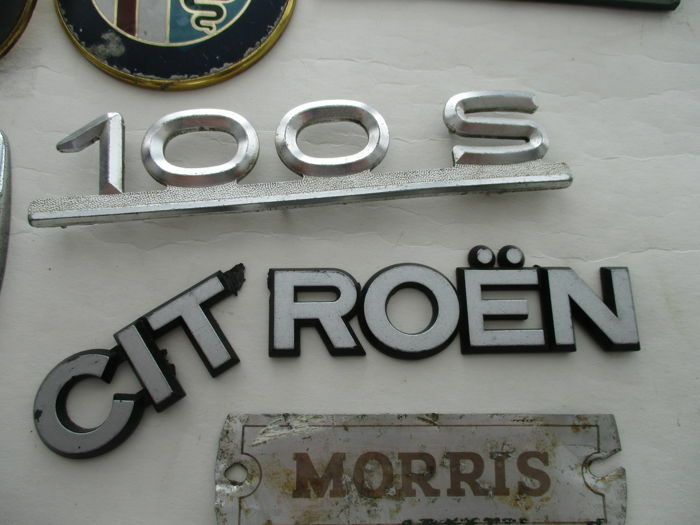 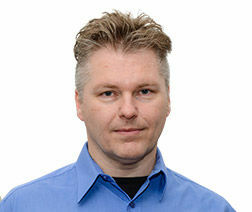 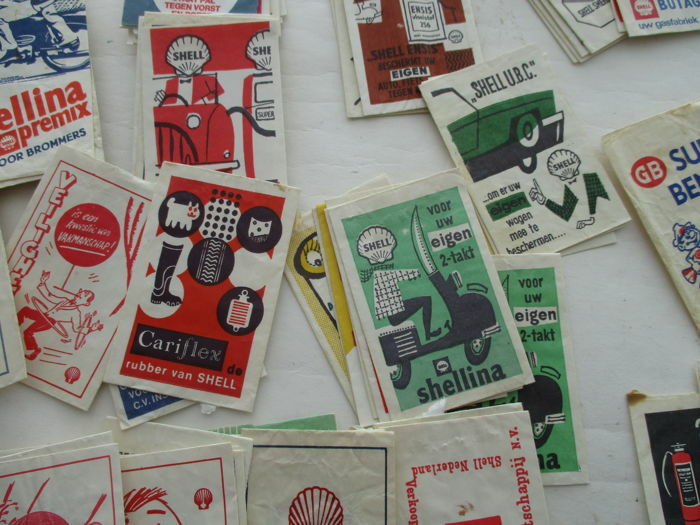 Groot lot met auto emblemen, suikerzakjes, sigarenbandjes, verzamelkaarten. 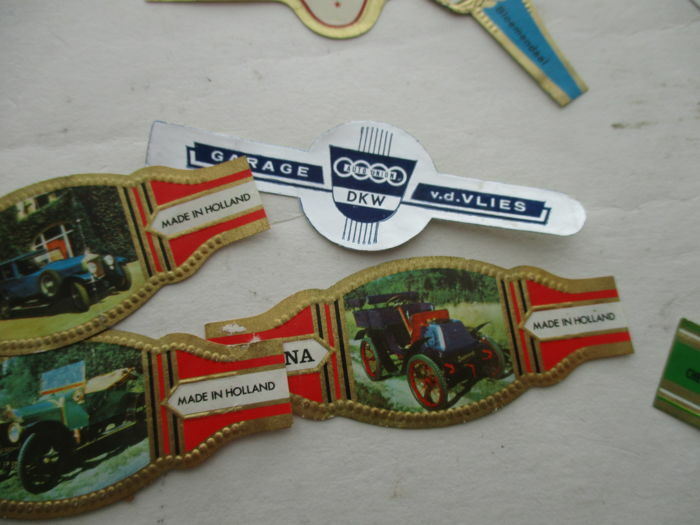 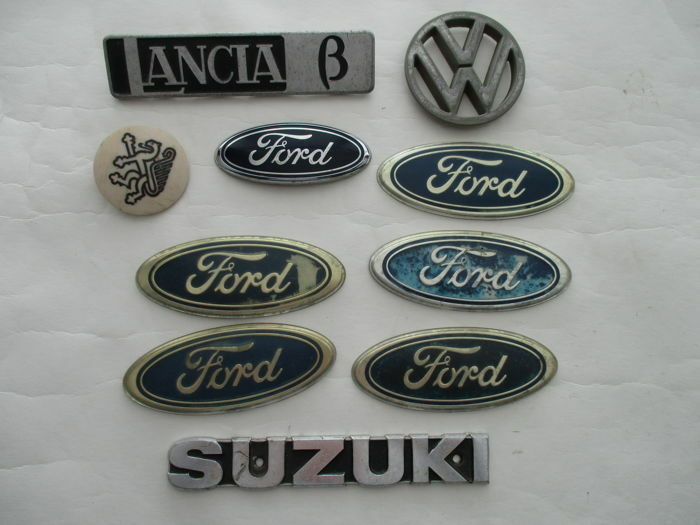 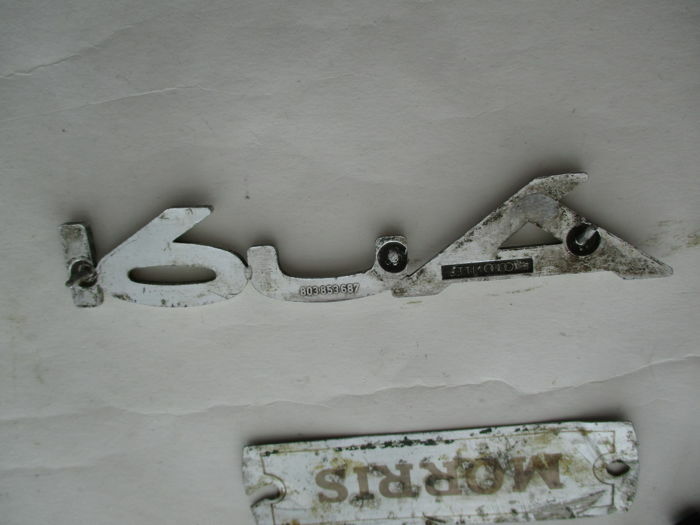 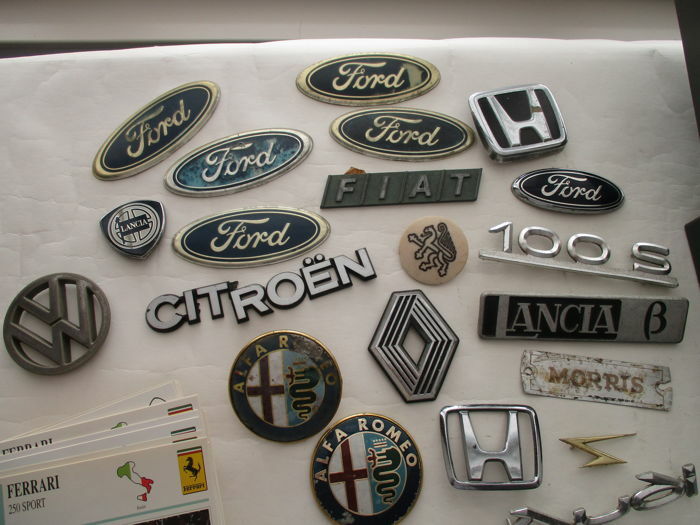 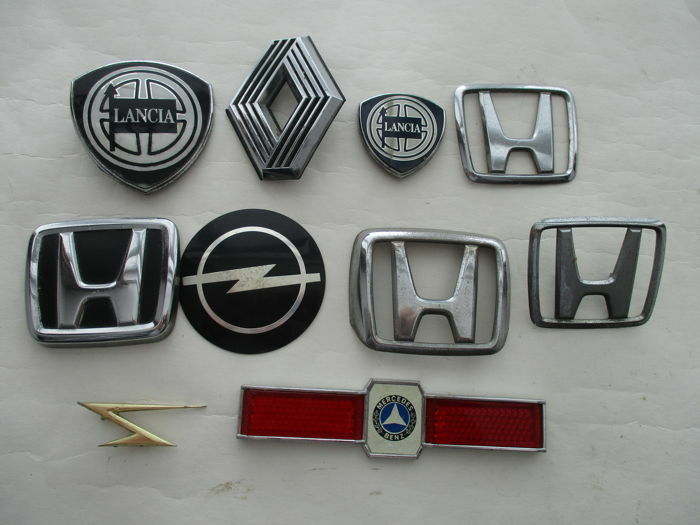 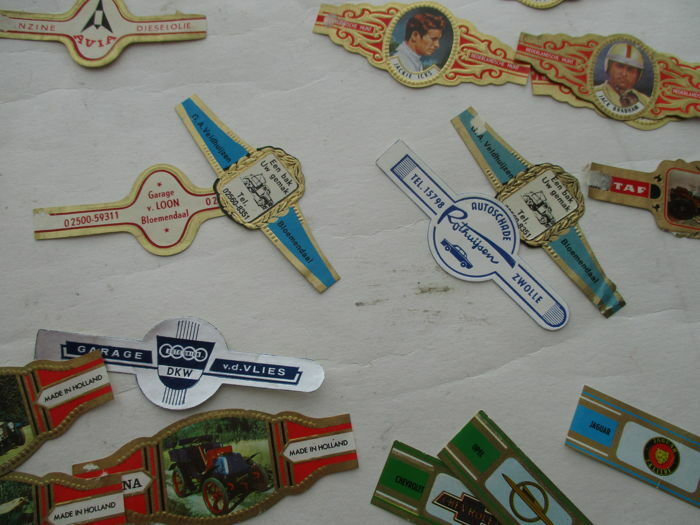 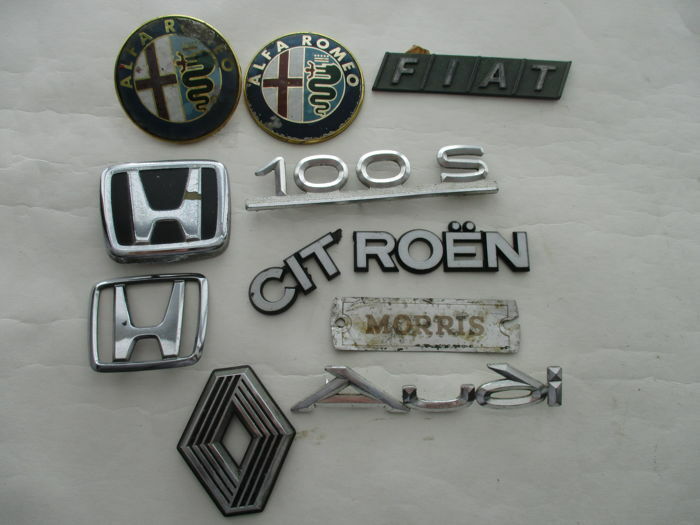 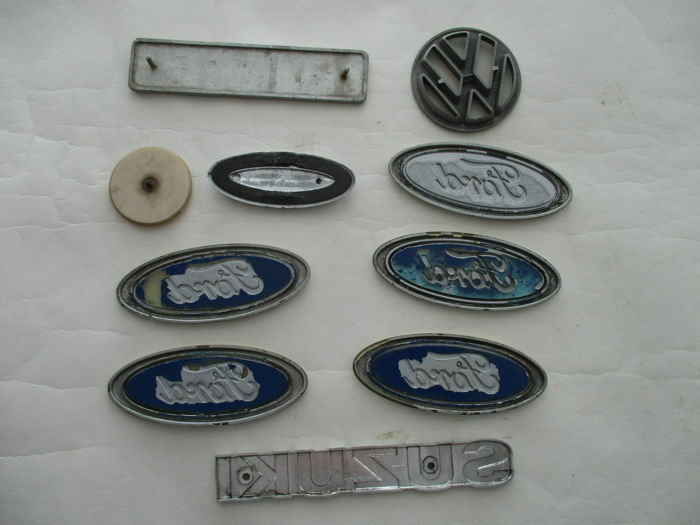 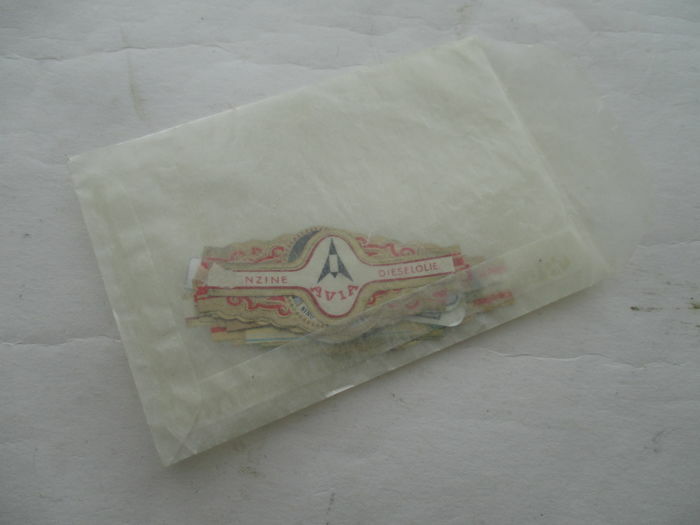 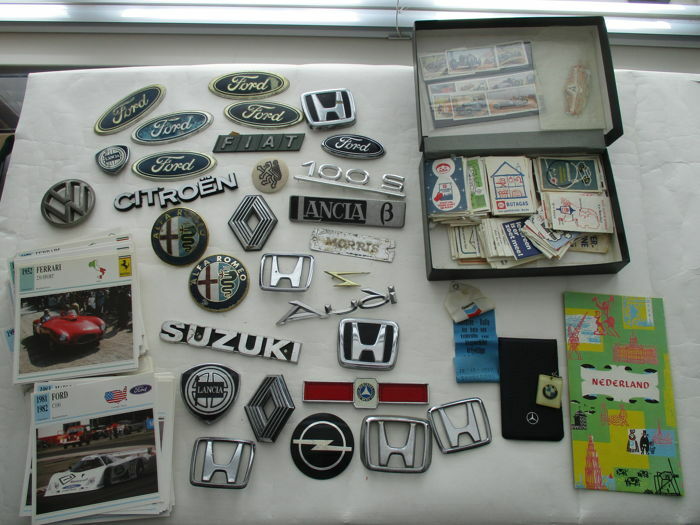 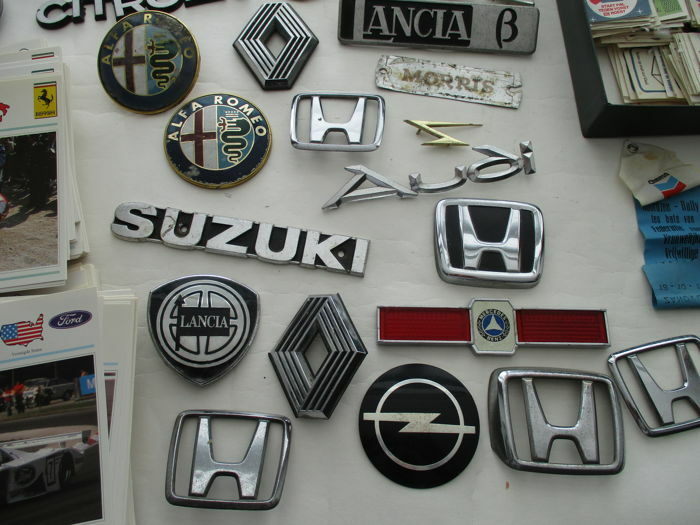 25 car emblems, among others, Ford Volkswagen Lancia, Fiat, etc., in a good used condition, various sizes. 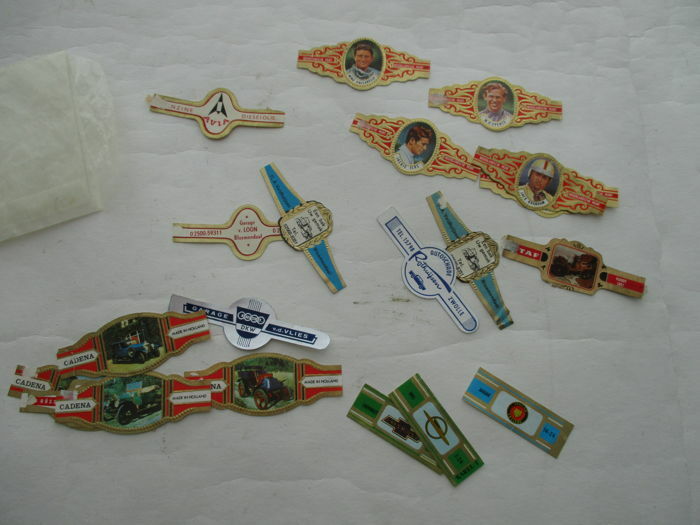 A few of the emblems have one or more of their feet missing. 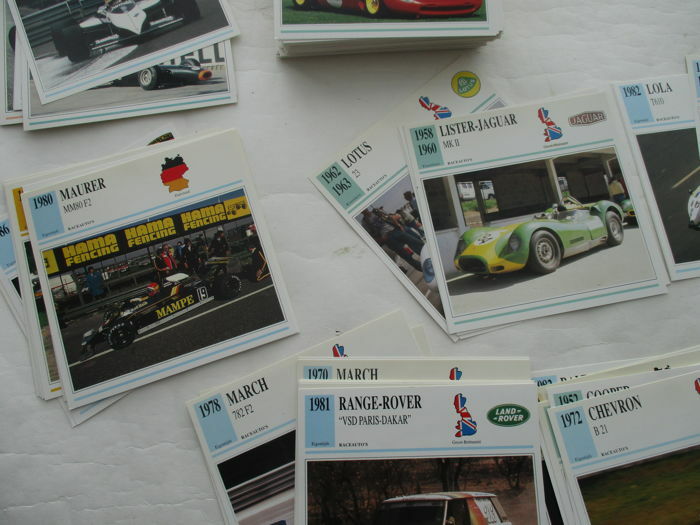 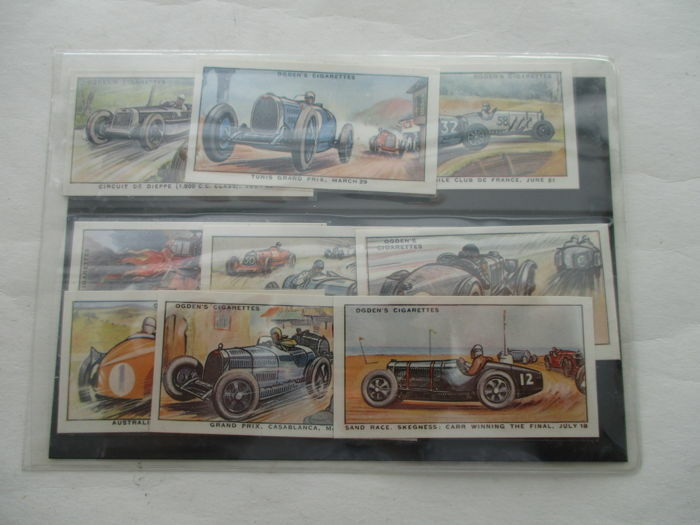 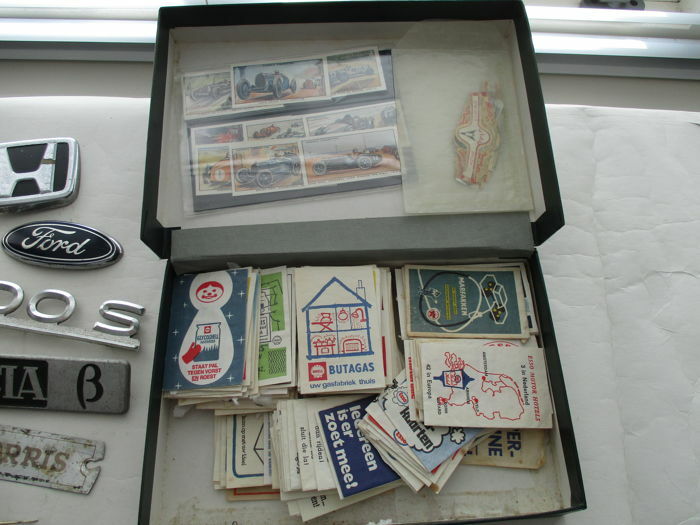 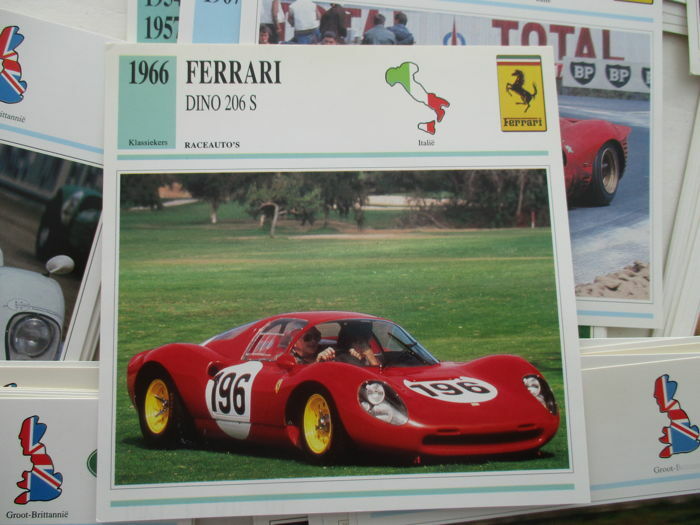 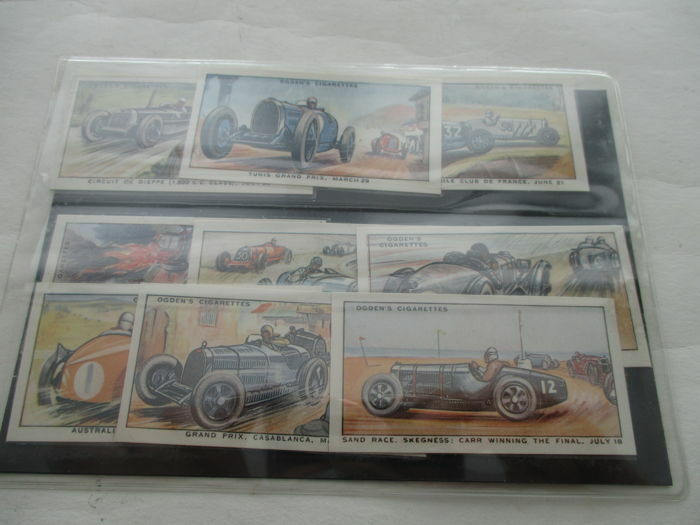 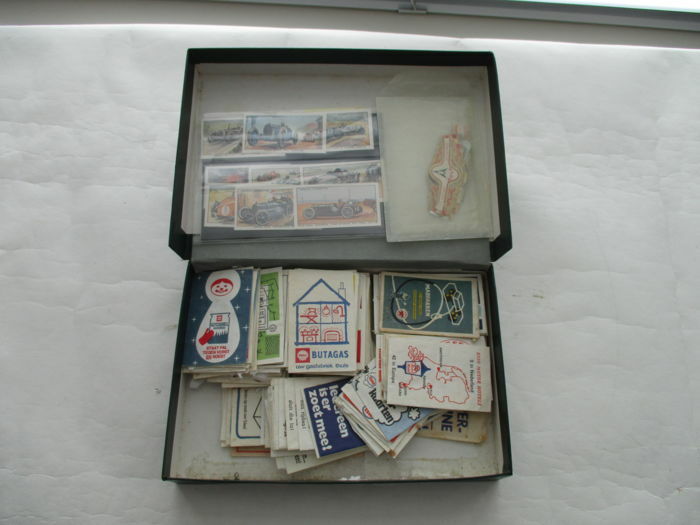 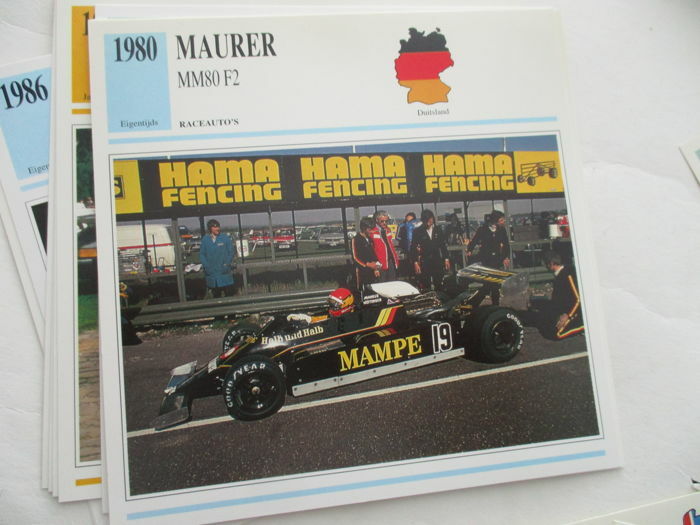 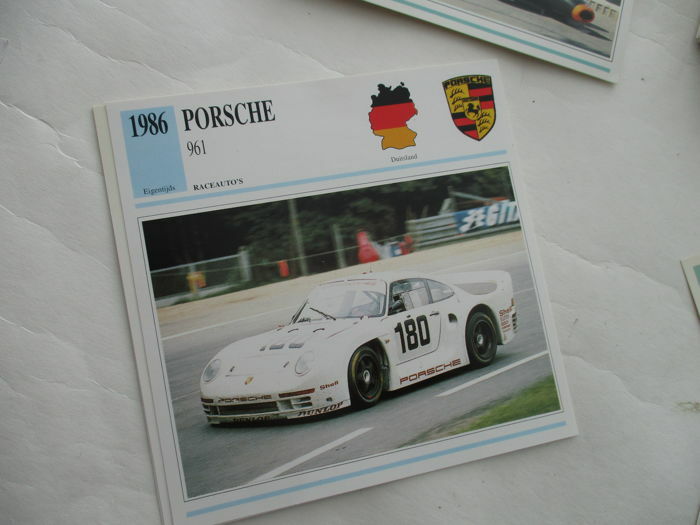 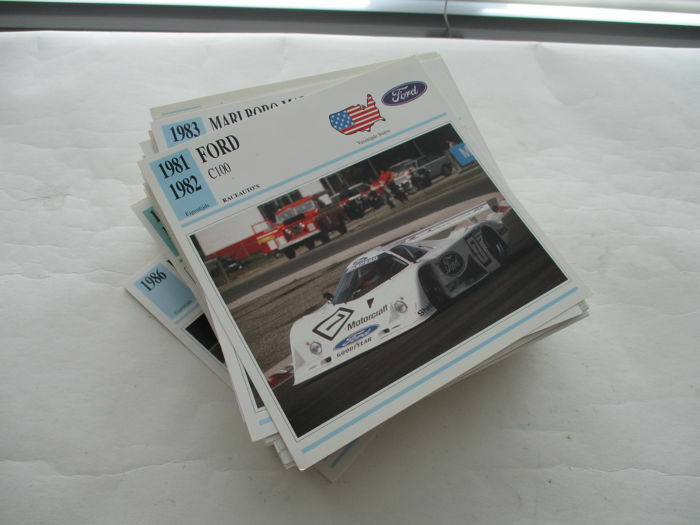 Approximately 200 car collection cards (size 14 x 14 cm). 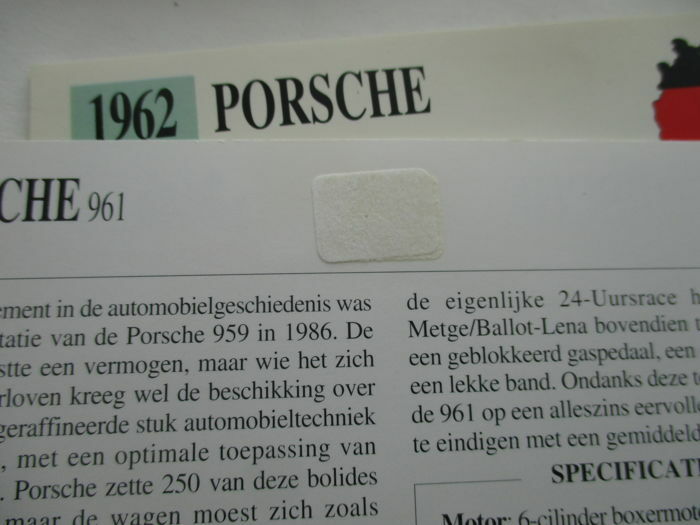 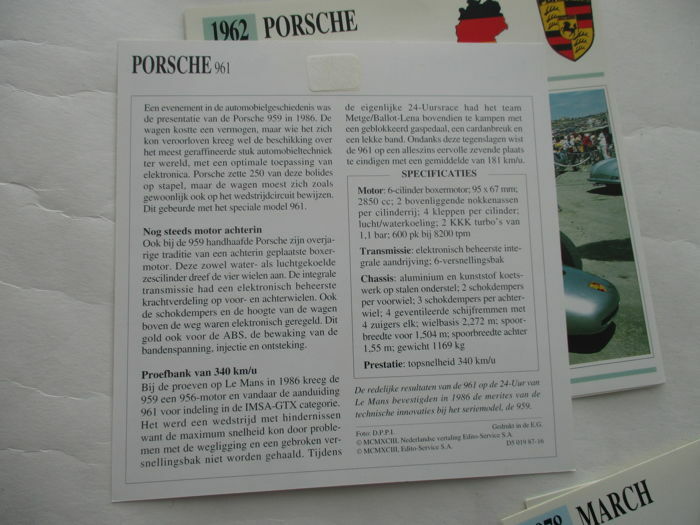 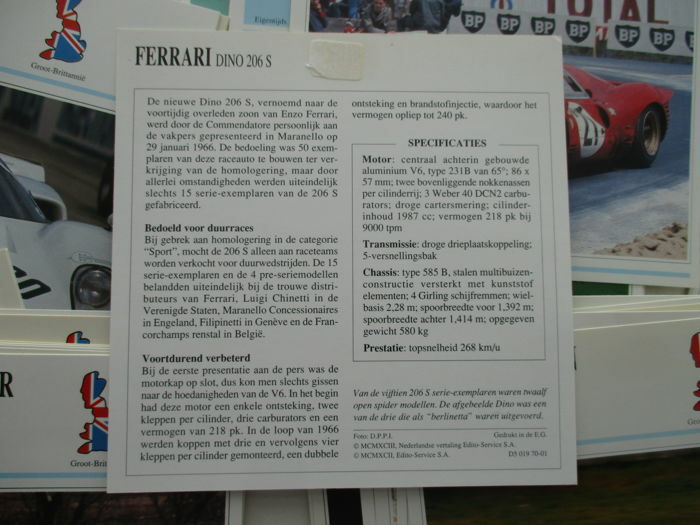 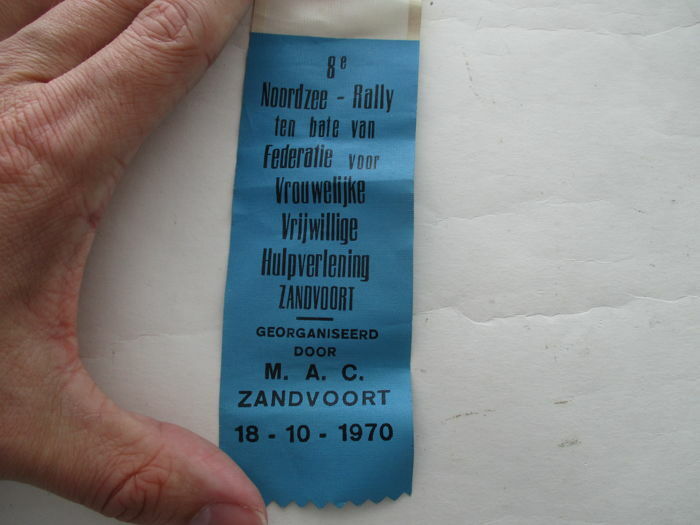 Image of a car at the front, technical information in Dutch at the back. 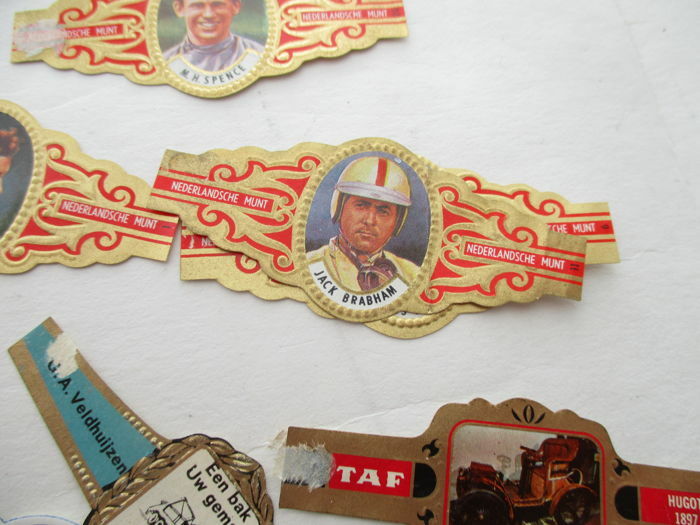 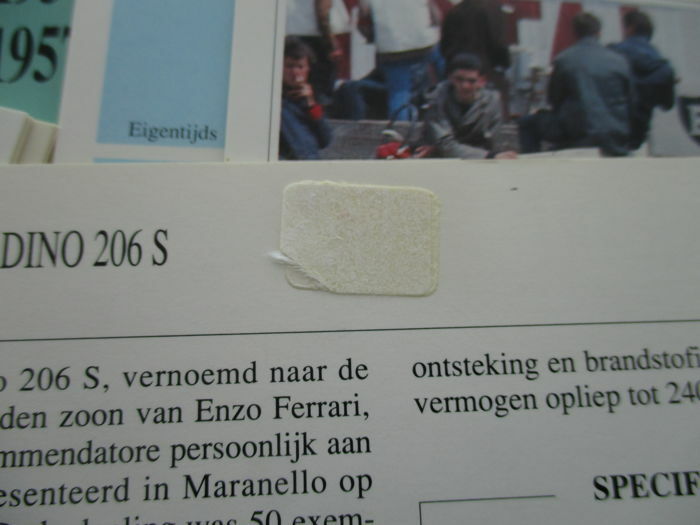 Cards used to be part of an album and therefore show adhesive remnants at the back, not bothersome. 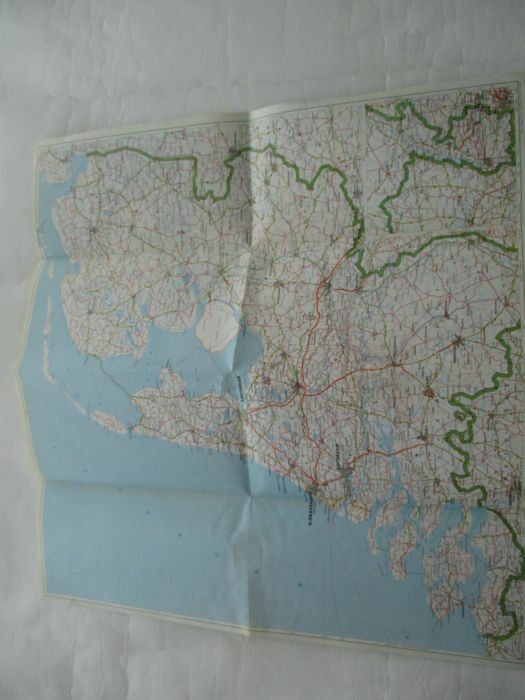 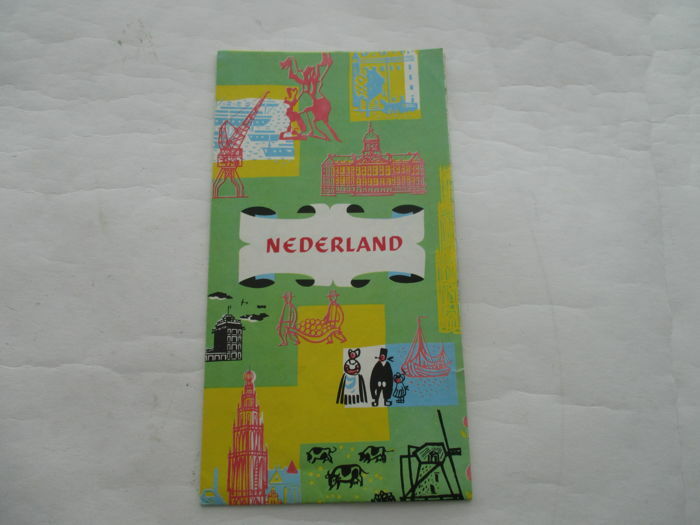 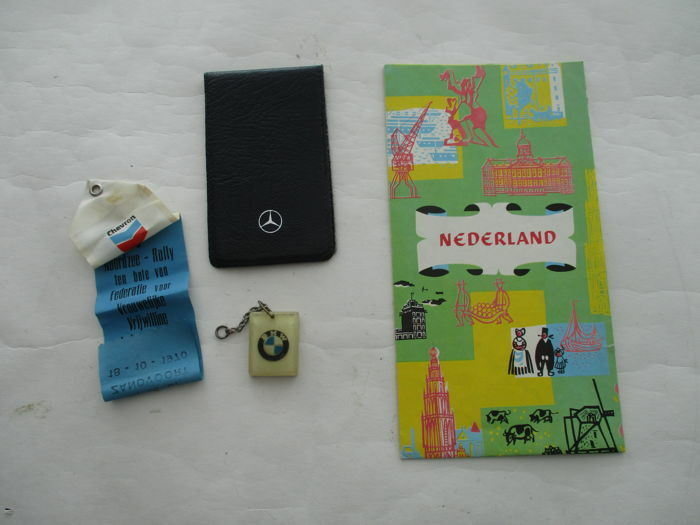 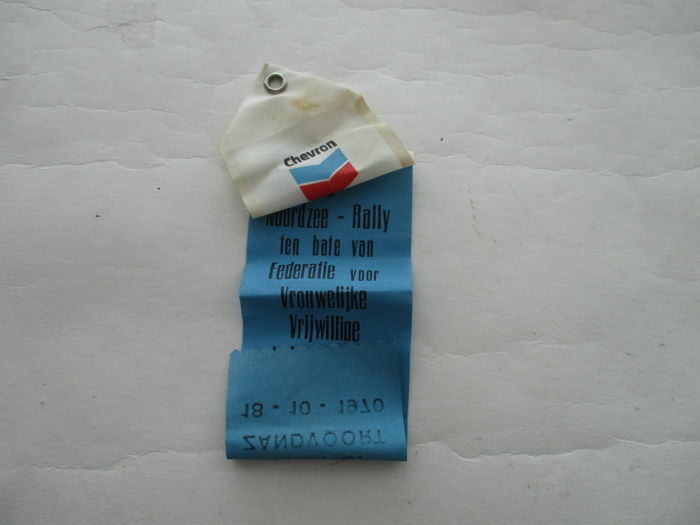 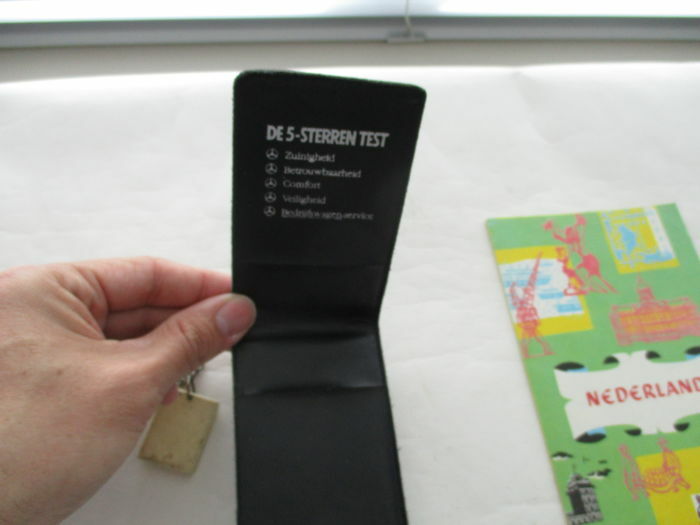 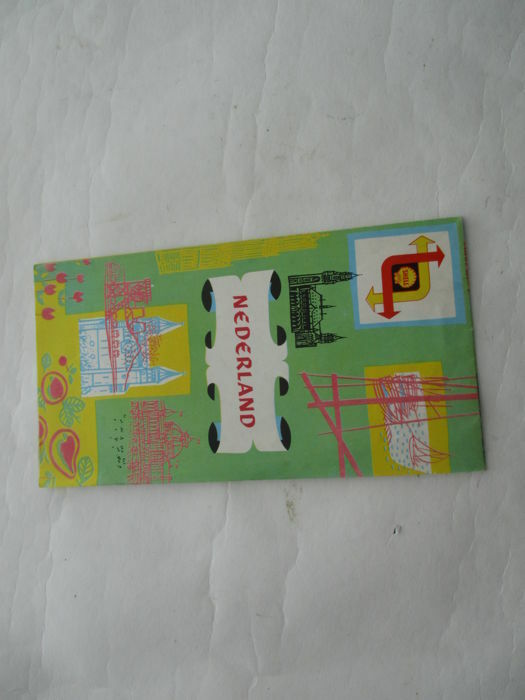 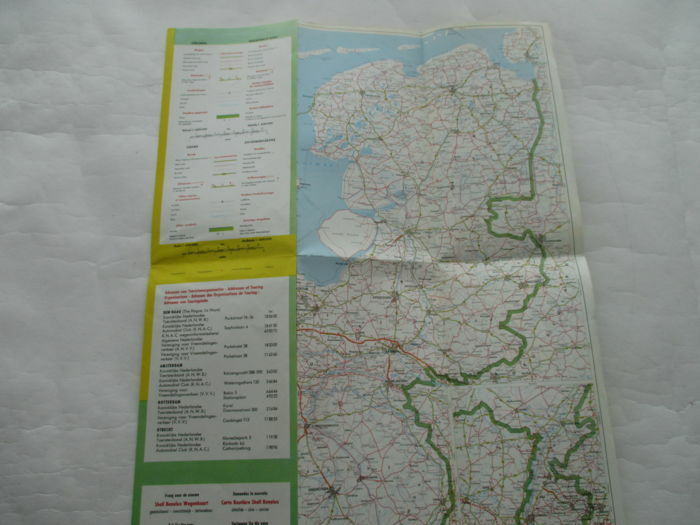 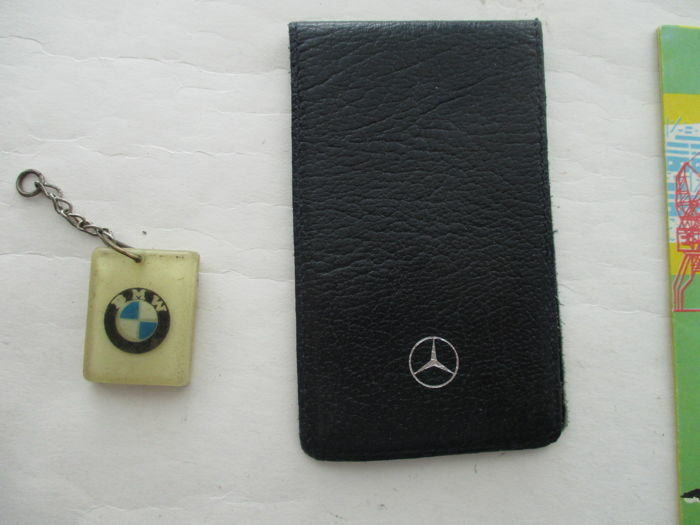 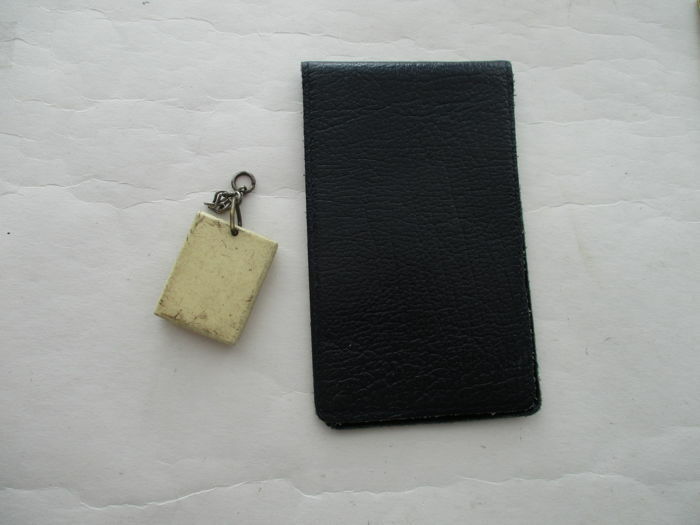 Road map of the Netherlands published by Shell, leather cover with Mercedes logo, old BMW keychain and pennant. 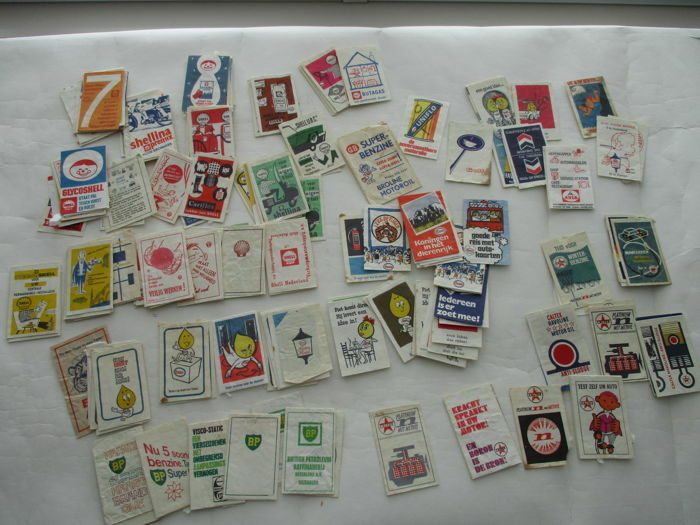 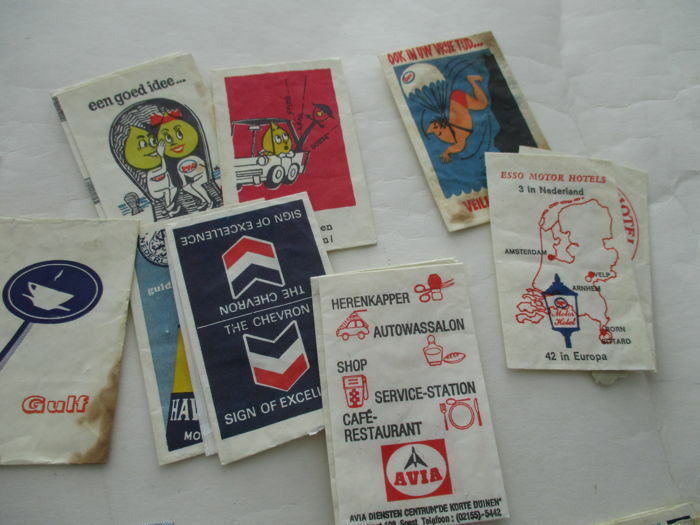 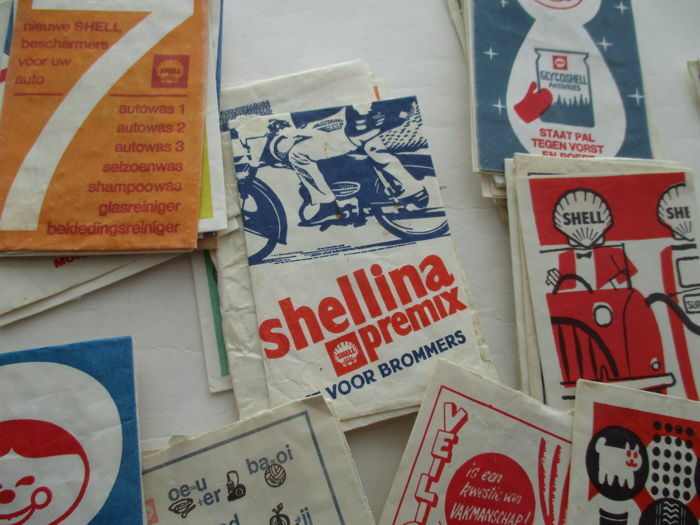 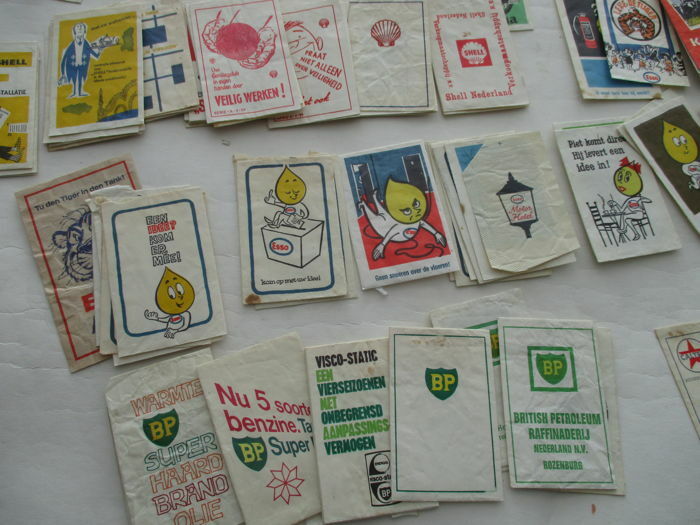 Box with 180 sugar packets of Dutch petrol and oil brands. 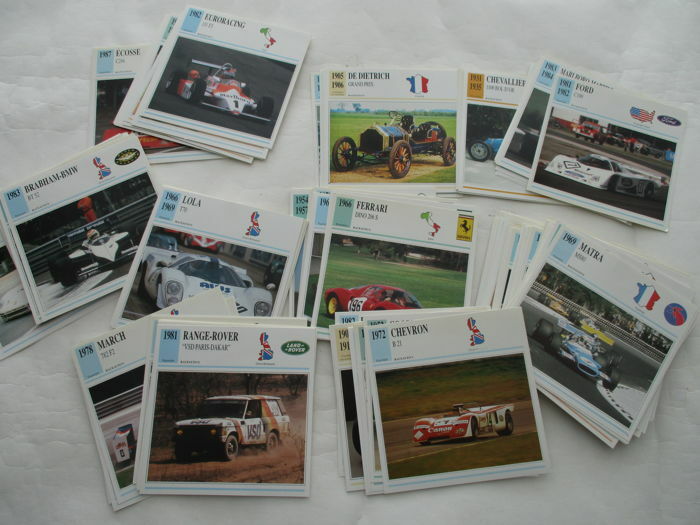 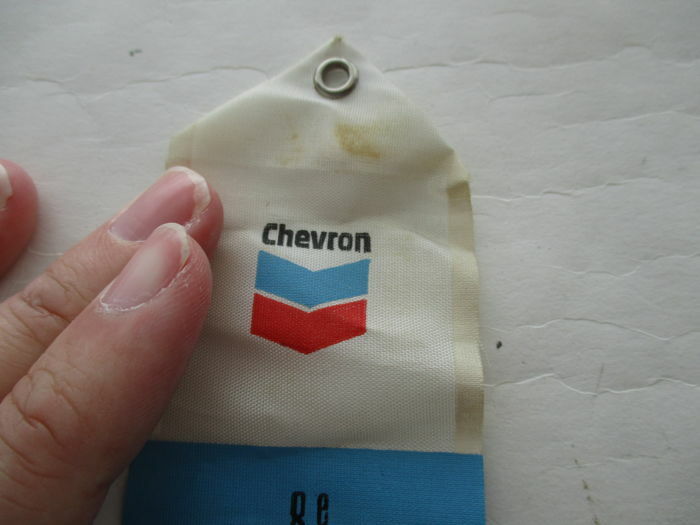 Among others Gulf, Shell, Esso and BP, an impressive collection from the 1950s and 1960s. 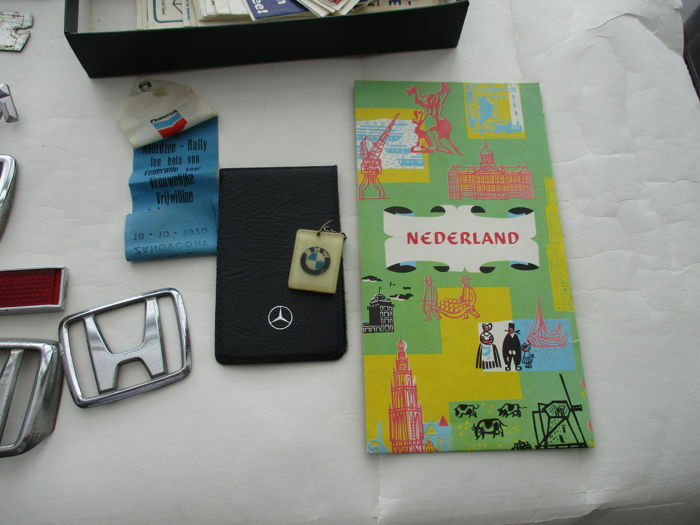 Also, some separate car cigarette pictures and a pouch with 20 cigar straps. 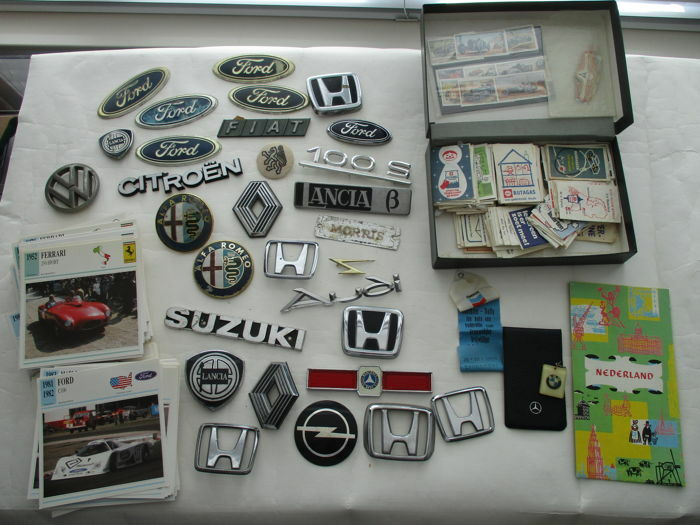 From the 1960s with images of cars, drivers, workshops, etc. 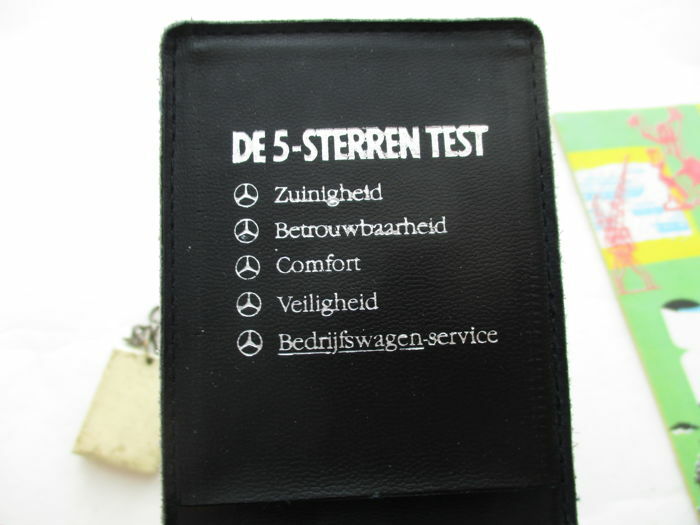 dank vr de snelle service, degelijke verzending en tussentijdse statusupdates!